The Lemon Forest of Poros, Troizinia is an area of approximately 500 acres of lemon trees which stretches along the Peloponnese coastline. Today, it is still a point of reference for the region. The Lemon Forest is mentioned in texts from the 18th century and it becomes clear that even then, the area displayed a strong trade and export activity with a focus on the production of lemons. Inspired by the long history of the Lemon Forest, the Vlachos family has created a range of products using local fruit with the brand name “Lemonodasos” – Greek for Lemon Forest. The Vlachos family has been active in the food industry since 1976. They started out as the owners of the traditional bakery “Vlachos”, located in the community of Galatas on the Peloponnese. The family’s business soon became known in the area for its delicious fresh pastries, cakes and traditional Greek sweets. Some time later, in addition to the bakery, a patisserie was operating with the same success and dedication to quality. Enjoying a steady course and having established its place in the preferences of locals and visitors in the area, the business was ready for the next step. In 2015, Dimitris and Maria Vlachou decided to take advantage of the abundance of high quality citrus fruit in the region. Using the old family recipe for homemade lemonade, they created Lemonodasos, a series of juices based on handmade lemon juice in various tasty combinations as well as jams and spoon sweets made from lemons and other fresh local fruit. As a family business with a long tradition in producing delicacies of the highest quality, we are committed to keeping our entire range of products to the highest standards. We use only fresh, local fruit for our lemonades, fruit juices, marmelades and spoon sweets. Thus, we support local producers and guarantee the quality of our ingredients. Homemade lemonade is an age old refreshment, and grandmother’s recipe is the best! Lemonodasos products are simply delicious because we use traditional recipes as well as the traditional methods of producing. Lemons are picked and squeezed by hand, and the result would make grandmother proud! 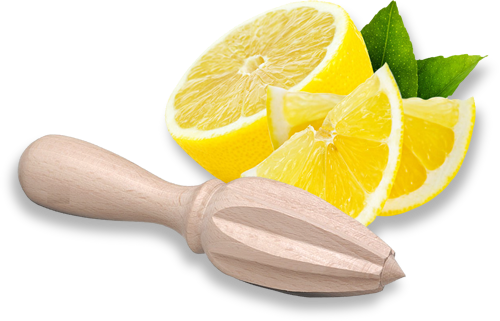 Our homemade lemon juice, fruit juices, marmelades and spoon sweets do not contain any artificial preservatives. They are fresh and pure. We are looking forward to introducing our quality lemon products to a larger audience throughout Greece. We are currently working with selected distributors, and plan to expand the availability of Lemonodasos products to a variety of locations. At the same time, we work on new recipes for our range of lemonades and fruit juices, and plan to increase our range of products in the near future.